Truth be told, it was pretty uneventful right up until the week of the fight. It started with Tony Ferguson tripping and tearing a ligament is his knee. This is the fourth time that the fight between Ferguson and Nurmagomedov has been attempted by the UFC. Dana has publically doubted the inception of a fifth attempt at this matchup despite its apparent inevitability within the rankings. That was just the beginning. When the call went out to replace Ferguson there were three names on the list. Eddie Alvarez did not want that fight on 6 days notice and not a person in the world could blame him. However, both Brian Ortega, who is an interesting matchup for Khabib in his own right, and the Featherweight champion of the world, Max Holloway, both immediately accepted the offer. The fight was given to Max Holloway and things started to heat up. If Max were to win, that would make him the second fighter in history to hold two championships simultaneously and (probably) the only one to be willing to defend either of them at the UFC’s discretion. However, he would have to get through Khabib first, which is no easy task, but the chance for history was on the horizon and the card suddenly has historical implications. Then Conor showed up with around 30 of his goons. As the story has unfolded, apparently the MacLife documentarians who cover Conor McGregor’s life had media passes for UFC 223 and used them to grant access to McGregor and his posse. The group stormed the loading bay area where the fighters were loaded up onto their buses and started causing mayhem. Videos surfaced online that clearly showed Conor picking up a large dolly and throwing it into the bus shattering a window and injuring several fighters onboard. Motivations are being debated, but the most logical idea that has prevailed came from Brendan Shaub, who appears to think Conor is trying to add drama to a potential matchup between himself and Nurmagomedov in Russia. 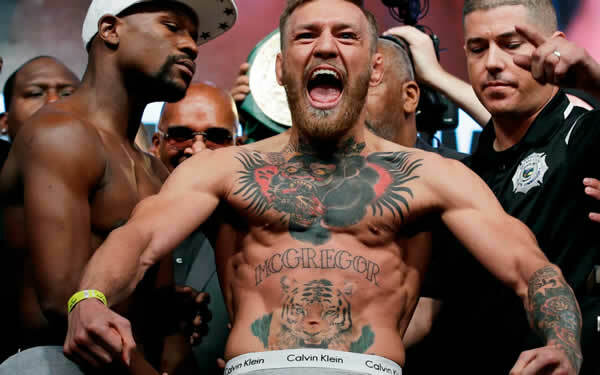 Since then, Conor has been arrested by the NYPD, and three fights were called off the card because of his antics. Michael Chiesa and Ray Borg were both injured in the attack and Artem Lobov was pulled from the card for his involvement in the criminal activity. This left three other fighters without fights and potentially without paychecks. Well, after recent reports, maybe only two other fighters. UFC betting lines are shifting and adjusting to accommodate the changes. But first, let’s talk about Max Holloway. At UFC 222 he was deemed medically unfit to compete due to an injury in his ankle that forced him out of the bout with Frankie Edgar. Then, a little while later, he was heard on a podcast talking about how he hadn’t been training much and instead, spending time with his kids. The next thing we hear about the champion is that he has taken a fight with the #1 ranked lightweight (the weight class above Max’s) on 6 days notice less than a month after his canceled bout with Frankie. Then, the stories surface about how he has to cut an ungodly amount of weight. Next thing you know, Max has been deemed medically unfit to fight by the doctors at UFC 223 because of a dangerous weight cut and was forced to stop cutting and to be pulled from the matchup. Now, there have been reports that Anthony Pettis, formerly the opponent of Michael Chiesa who was injured in Conor’s attack, is ready to step up and take on the task of Khabib Nurmagomedov for the Lightweight Title at UFC 223. At this point, anything can happen.